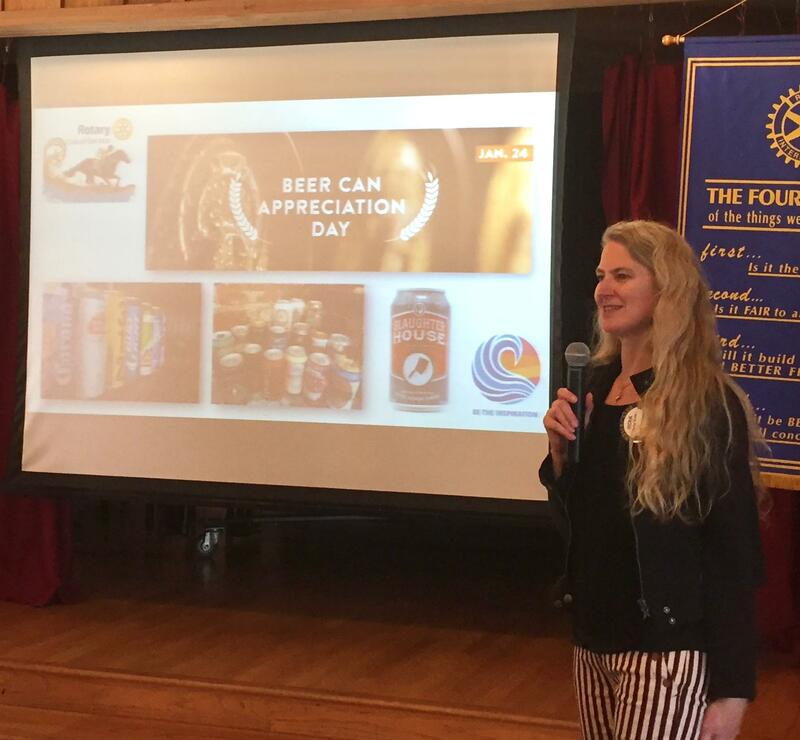 Cans of PBR awaited all attendees of the January 24, 2019 meeting, courtesy of Rotarian of the Day Vickie Barks, who brought them in recognition of National Beer Can Appreciation Day. We surely appreciate having Vickie as an active member. Read more about Vickie’s current pursuits (and her shout-out to Rotary Club of Del Mar) in a recent Del Sol Magazine article.